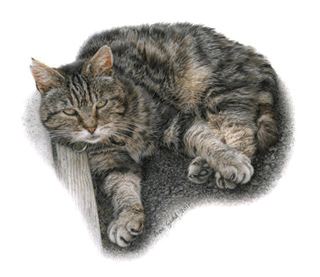 Aron Gadd is an artist, specialising in highly detailed pet portraits, with over 30 years experience in producing lifelike drawings of family pets, horses and country homes. Aron has a unique style, drawing compositions of Dogs, Horses, Cats and now People too! to commission. 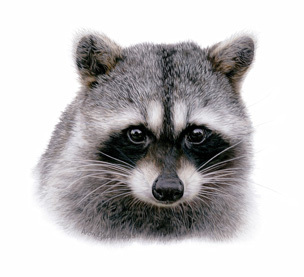 Aron produces his animal portraits in artist's quality coloured pencils. His palette consists of around 100 colours, and a finished picture looks rather like watercolour but with greater depth and detail. 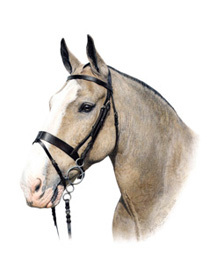 Why commission an animal portrait from Aron? Pet Portraits are a wonderful way to remember treasured members of the family, and can be an original and personal gift for a loved one that will be a joy for years to come. Aron works with care and precision. Every effort is taken to ensure that your portrait is perfect, and is an exact study of your dog, cat or horse and no other, with every hair in place! Because of this Aron has hundreds of satisfied clients. Many of which return years later for a portrait of the next generation of their pets. Your picture will be on your wall for many years, so it pays to ensure it is a fitting reminder of your animal. In fact some families club together to commission a pet portrait for a special birthday or anniversary. 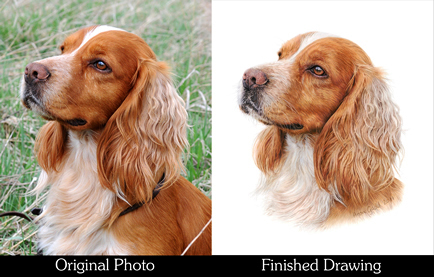 For more information about Aron's pet portraits please click on the Artist button, or to see more examples of previous commissions, enter the galleries by clicking on one of the gallery buttons above. 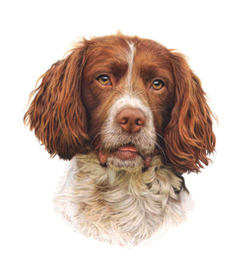 Aron provides a complete pet portrait service, from photo-shoot to framing, and although based in Andover, Hampshire, (which is near the borders of Berkshire and Wiltshire,) routinely receives commissions for his animal portraits from all over the South of England, especially Sussex and Surrey. He also travels to Yorkshire a couple of times a year and can do photoshoots anywhere in-between. In this way he can cover most parts of the UK.